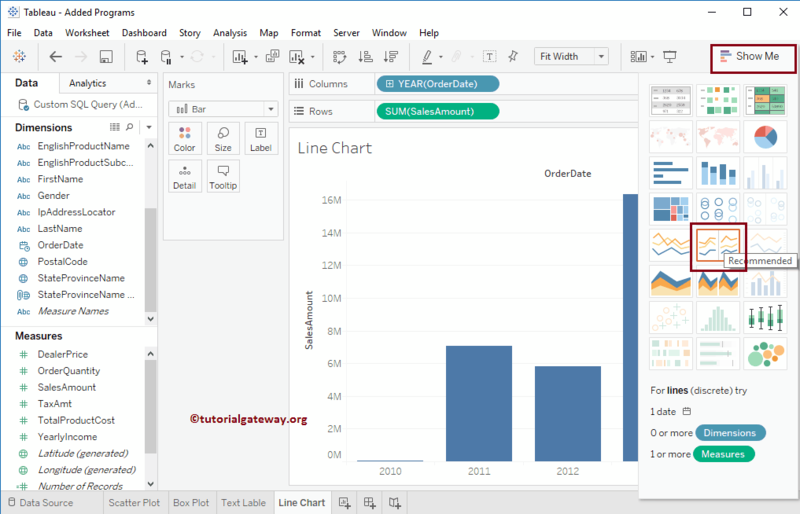 Tableau Line Chart is very useful to connect individual dots. 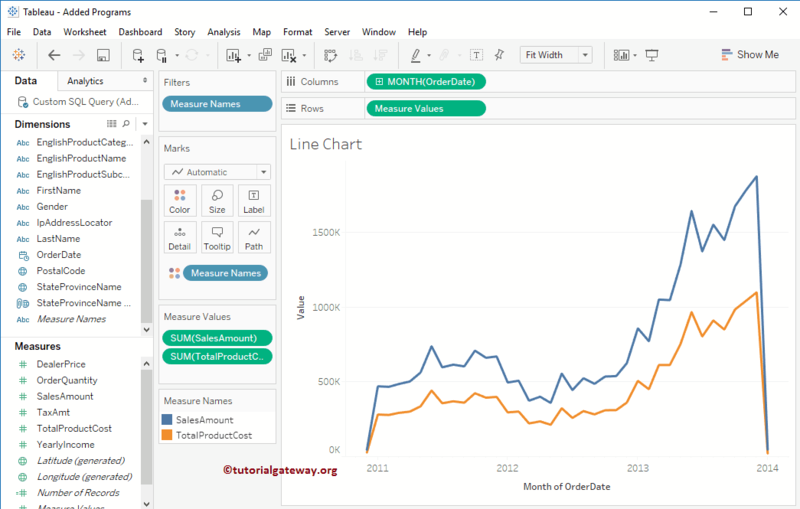 We can use the line charts to check the trend in sales, Forecast details etc. 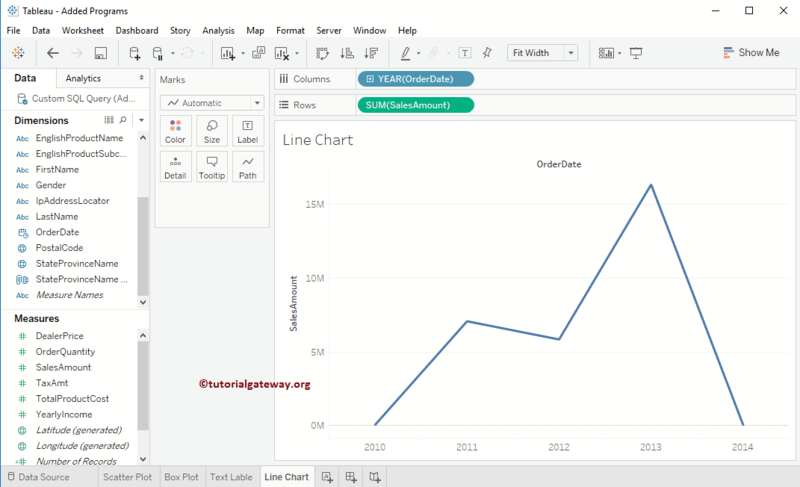 In this article, we will show you, How to Create Line Chart in Tableau with an example. For this, we are going to use the Data Source we created in our previous article. 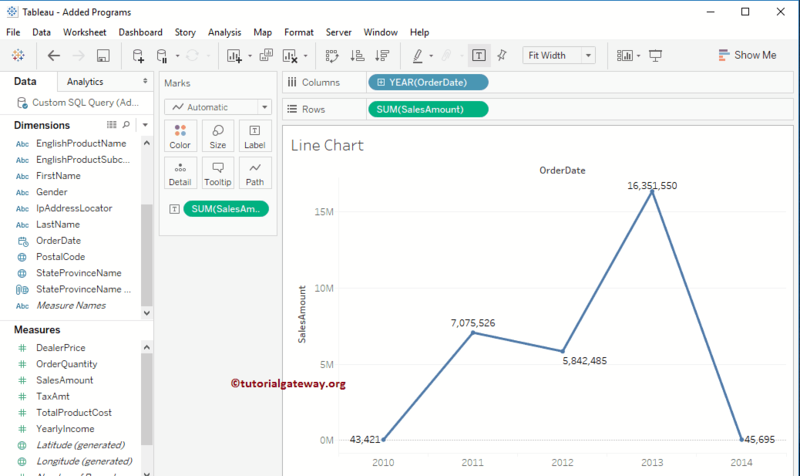 So, Please visit Data Labels in Tableau Reports article to understand the Data Source. 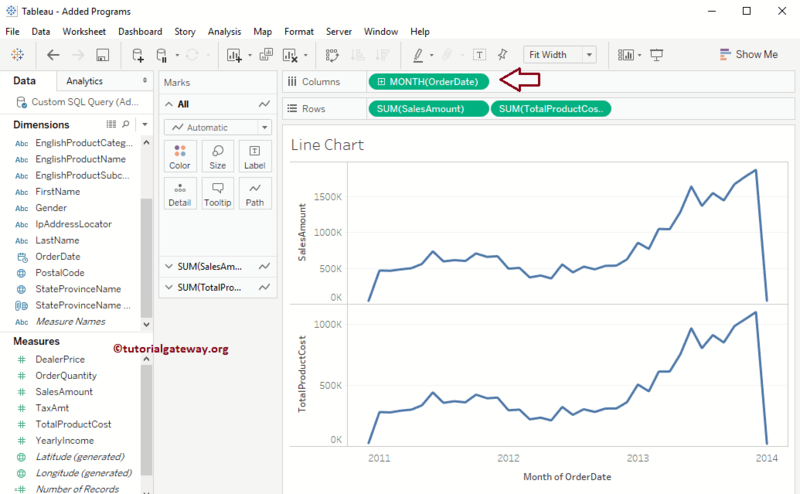 In order to create a Tableau Line Chart First, Drag and Drop the Year from Dimension Region to Column Shelf. 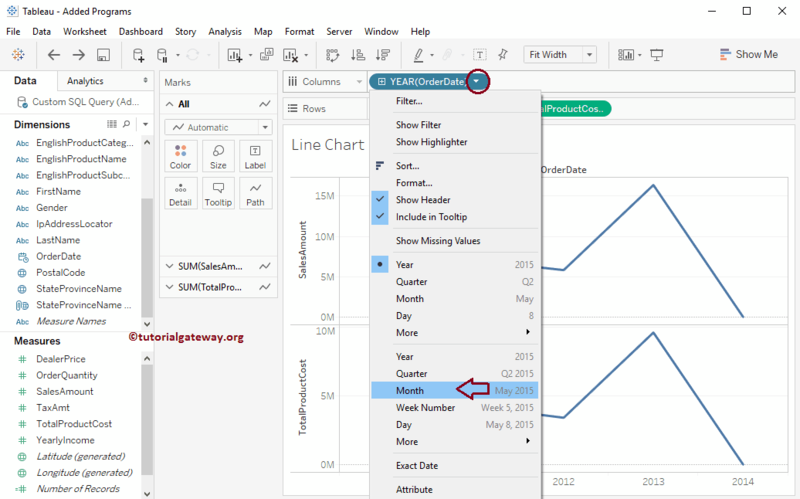 Next, Drag and Drop the Sales Amount from Measures Region to Rows Shelf. 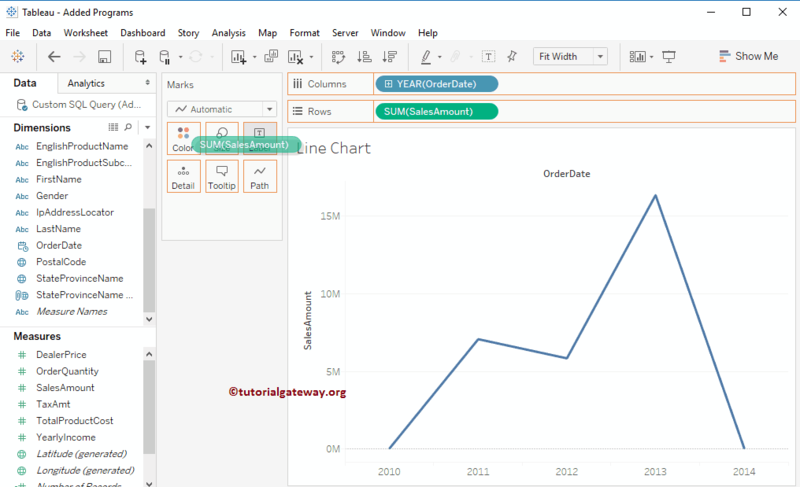 Since it is a Measure value, Sales Amount will be aggregated to default Sum. Once you drag them, Line Chart will be generated as we shown below. 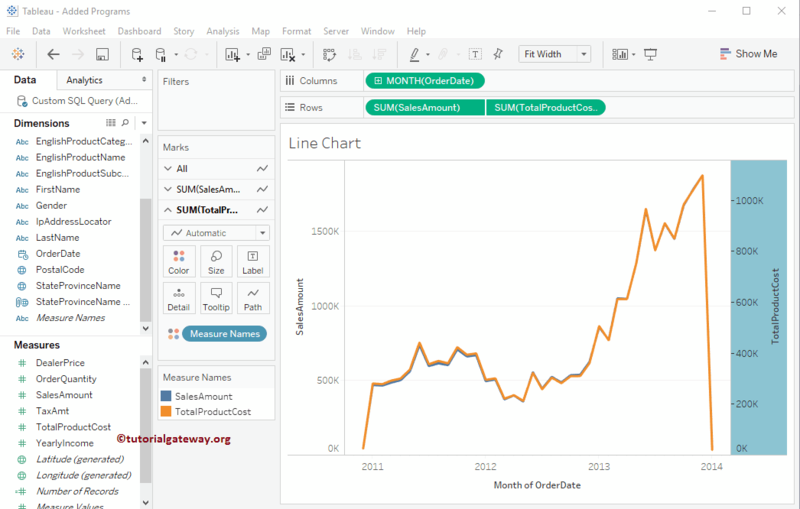 If that is not the case, Please click on the Show Me tab, and select the Line chart. 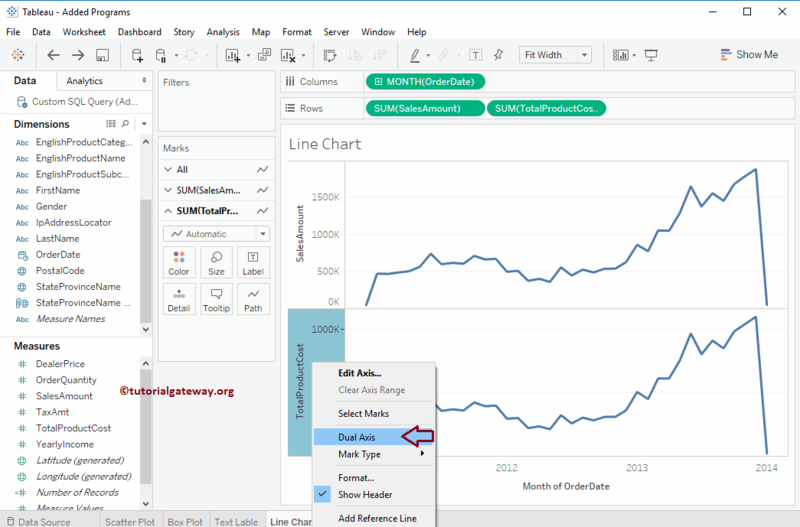 Drag and Drop the Sales Amount from Measures Region to the Text field present in the Marks Shelf. 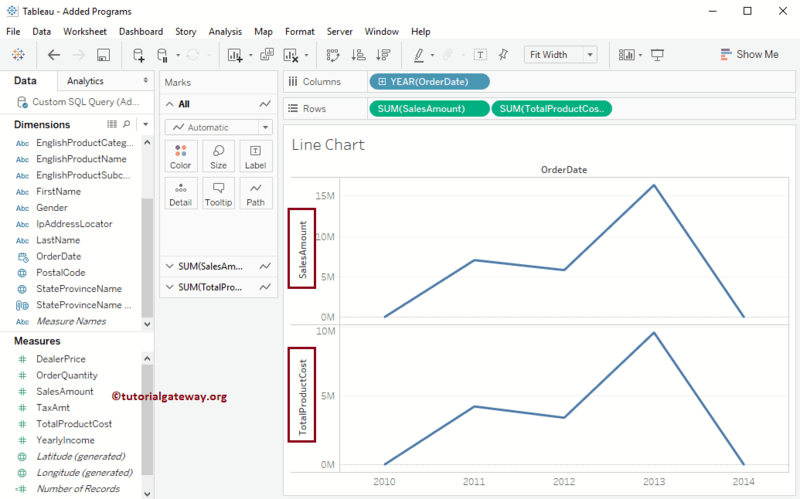 We can also create a line chart using the multiple measures. This can help us to compare the trend line of Sales, and Profit. 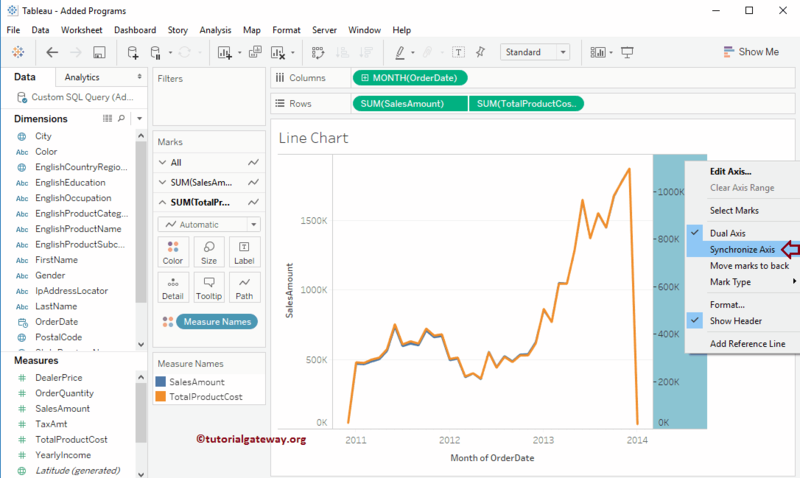 In order to create a Tableau Line Chart First, Drag and Drop the Total product Sale from Measures Region to Rows Shelf. Since it is a Measure value, Total product Sale will be aggregated to default Sum. 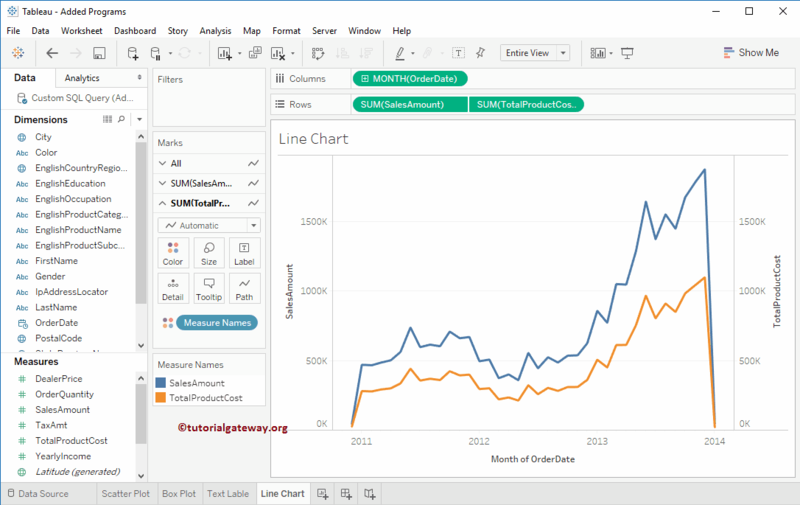 Once you drag them, another Line Chart will be generated for product cost as we shown below. 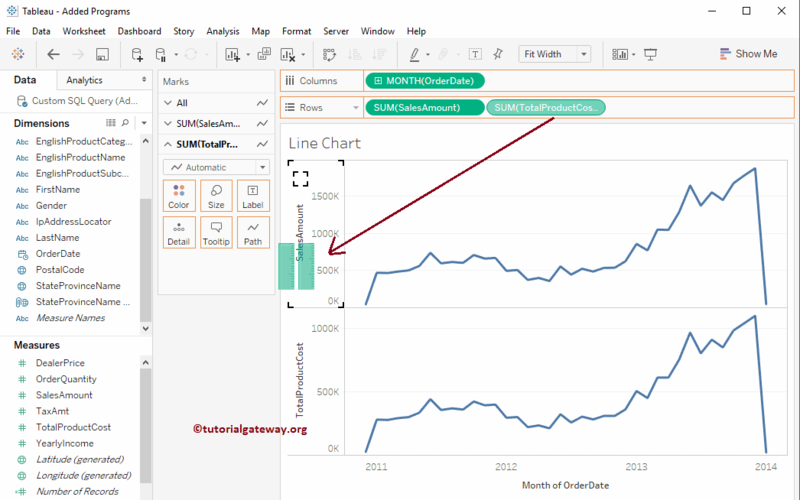 Following screenshot will show you the tableau Line Chart with the blended axis.